Der Deutsche Mustererkennungspreis 2018 wurde an Frau Prof. Angela Yao verliehen. Im Bild (von links nach rechts) Dr. Uwe Franke (Daimler AG), Prof. Angela Yao, Prof. Dr. Reinhard Koch (Präsident der DAGM e.V.). 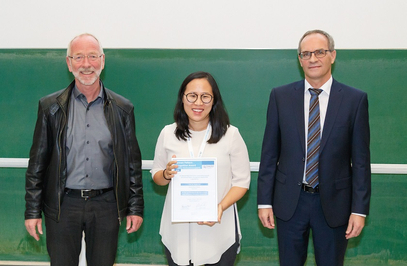 The German Pattern Recognition Award 2018 was given to Prof. Angela Yao for her outstanding contributions to the areas of hand pose estimation and action recognition. 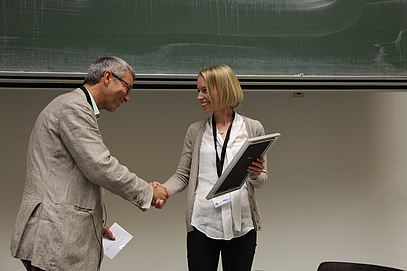 Her work on action recognition was one of the first works on spatio-temporal action localization and has inspired many others in this field. She also demonstrated as one of the first the benefits of higher-level representations for action recognition. In her recent works, she proposed a solution to the lack of accurate ground truth data, which has become very popular in the hand pose estimation community. Im Jahr 2017 wurde der Deutsche Mustererkennungspreis an Dr. Andreas Geiger verliehen. Im Bild (von links nach rechts) Dr. Uwe Franke (Daimler AG), Dr. Andreas Geiger, Prof. Dr. Reinhard Koch (Präsident der DAGM e.V.). 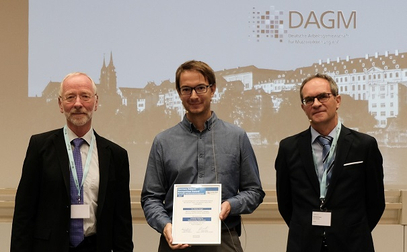 The German Pattern Recogition Award 2017 was given to Dr. Andreas Geiger for research in computer vision for understanding traffic scenes. 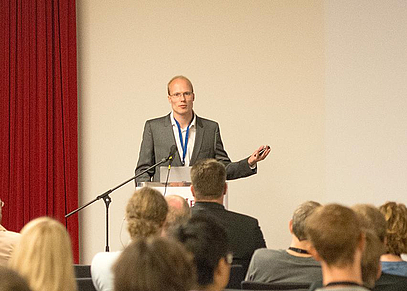 Dr. Andreas Geiger is known world-wide for his KITTI benchmark suite that is recognized as today’s number one benchmark for optical flow, stereo vision, and visual odometry. 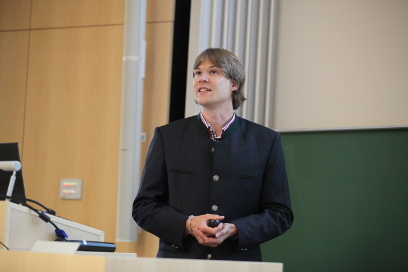 After his outstanding PhD on understanding traffic scenes he joined the MPI-IS where he quickly built up a strong research identity and became an independent Max Planck Group Leader (W2) in 2016. 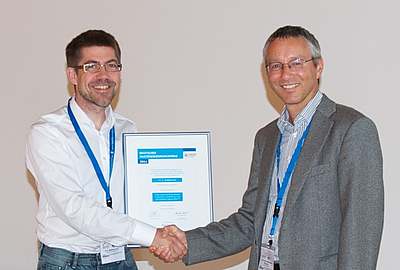 Since 2013 he has made truly exceptional and inspiring contributions to the field of computer vision with many results ranking high in international competitions. 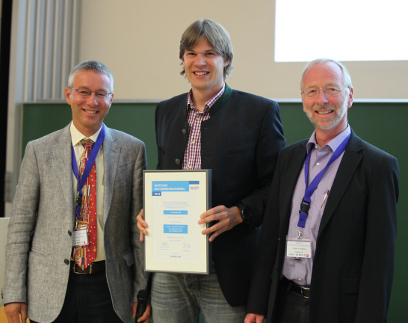 Im Jahr 2016 wurde der Deutsche Mustererkennungspreis an Dr. Sebastian Nowozin verliehen. Im Bild (von links nach rechts) Dr. Uwe Franke (Daimler AG), Dr. Sebastian Nowozin, Prof. Dr. Reinhard Koch (Präsident der DAGM e.V.). 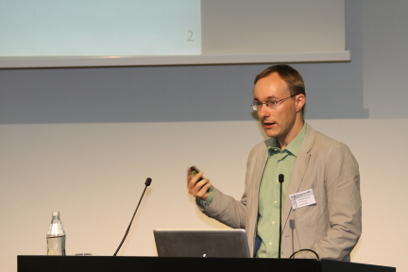 The work of Sebastian Nowozin on structured prediction for computer vision, in particular the work on structured prediction models, has shown that rich expressive models for pattern recognition problems can still be computationally efficient and can advance the state of the art in important statistical imaging applications such as image denoising, deblurring, and demosaicing. 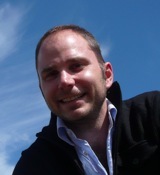 His research findings have also had a direct impact on Microsoft products that use computer vision and machine learning. Im Jahr 2013 wurde der Deutsche Mustererkennungspreis an Dr. Thomas Pock verliehen. Im Bild (von links nach rechts) Prof. Joachim M. Buhmann (Präsident der DAGM e.V. 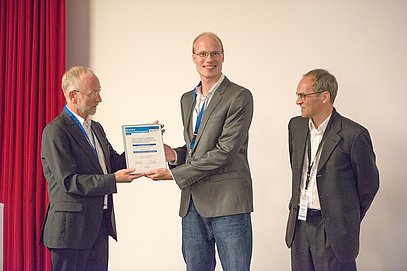 ), Dr. Thomas Pock, Dr. Franke (Daimler AG). Im Jahr 2012 wurde der Deutsche Mustererkennungspreis an zwei herausragende Forscher verliehen. 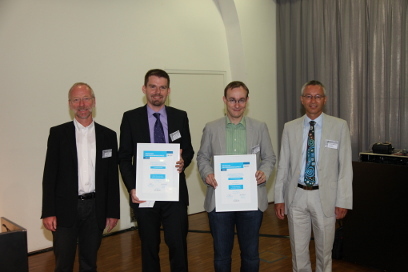 Im Bild (von links nach rechts) Dr. Uwe Franke (Daimler AG), Dr. Christian Theobalt, Prof. Andreas Krause, Prof. Joachim M. Buhmann (Präsident der DAGM e.V.). 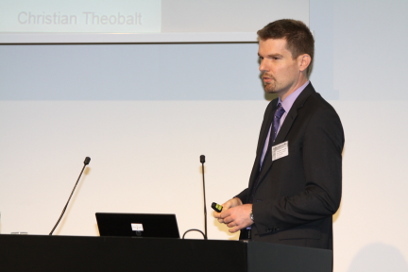 an Prof. Dr. Matthias Hein (Universität des Saarlandes) vergeben. 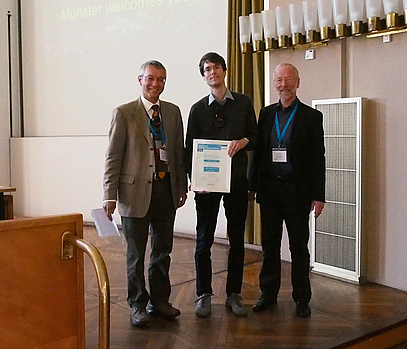 Stefan Roth was awarded the Olympus-Price 2010 for his outstanding work in statistical approaches to image modeling, motion estimation, human tracking, and object recognition. Ab 2010 wurde der Olympuspreis vom Deutschen Mustererkennungspreis abgelöst.